It’s a doctor’s job to diagnose when there is something wrong with a patient. But when the patient is your mortgage website, who tells you when something’s wrong? A mortgage website like yours, when functioning properly, should be doing a lot for your business. It should bring in new leads. It should consistently attract visitors. It should help establish your reputation as a professional. If your website is doing none of the above, then consider that a symptom—a symptom with an underlying problem. All you need now is a cure. First, let’s bring the vague concept of a website that could be performing better and make it much more concrete. Simply put, how do you know when you have a mortgage website that should be doing better? Some answers are simple. A mortgage marketer with a boilerplate, brochure-style website will most likely know that they could do a lot to improve their web results. Others aren’t so simple without knowing what’s going on behind the scenes. Maybe you have a website that looks really nice—only you aren’t getting any new leads…. Here’s a good rule of thumb: if your website is getting traffic but isn’t getting you potential new mortgage clients, then it’s probably in need of an upgrade. Traffic: Sometimes, a website might be ready to generate leads but simply isn’t seeing the volume of traffic necessary to make an impact. Quick word of warning: be careful of getting into the mindset that traffic is all that matters. 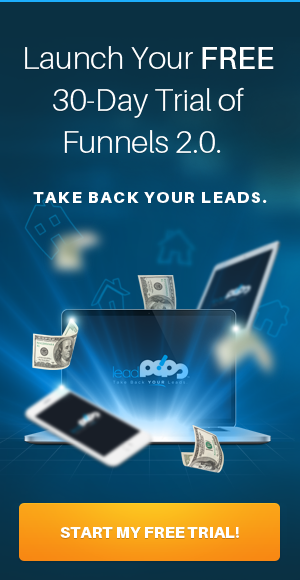 Traffic is nothing if you’re not converting it into leads. Bounce rates: Maybe you do have the traffic. But after setting up Google Analytics on your site you realize that most of this traffic doesn’t even stay on your page very long. It may be time to work on your landing pages and think about the first impression that your website makes. Low conversion rates: If people are spending a lot of time on your site—and there are a lot of people doing so—then it might come down to conversion. You need to optimize your calls-to-action and maybe even the incentives you use to get people to click forward. If you notice any of the above, there’s a good chance that one aspect of your website needs to be improved in a hurry. But that’s not all of it. You may actually have some combination of the above. For instance, you might have low traffic with low conversion rates. You might have high bounce rates and low conversion rates at the same time. To keep things simple, break it down into specific goals for your website—Google Analytics allows you to set traffic and conversion goals. Before you go about fixing your problem(s), you’ll want to make sure that you’re not tackling the wrong one in the first place. Focusing on just getting traffic as if that’s going to fix everything. 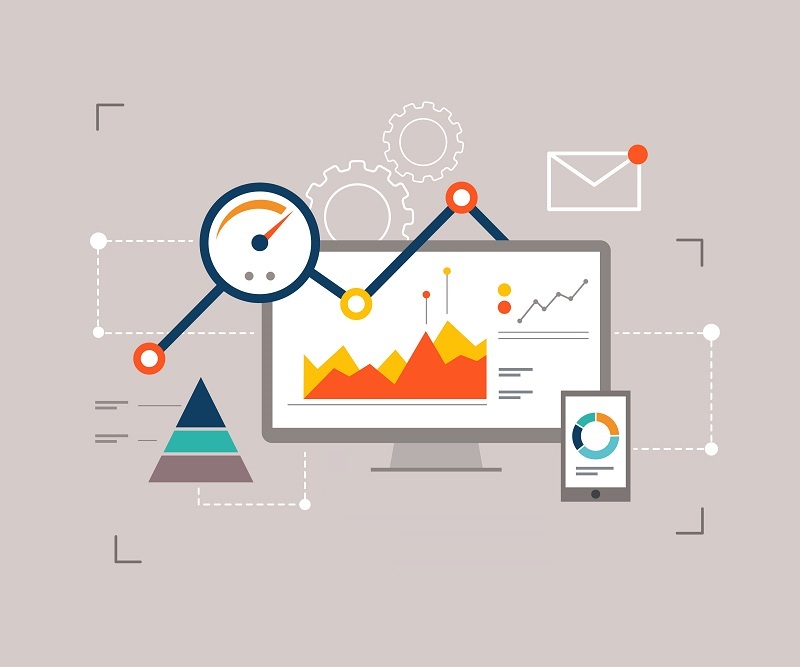 If you’ve been monitoring your website for a while, you should have a sample size large enough to also track variables like bounce rates and conversion rates. More traffic does not solve all problems. Focusing solely on website design. A website that looks great is a fantastic thing to have. You absolutely should focus on keeping your website professional and attractive. But giving your website cosmetic updates every three months, or a Santa hat on the logo come December isn’t necessarily going to make the content more attractive to your potential clients. You also have to think about how the site is built, the content it offers, and the incentives you use to bring in more conversions. Building up the wrong part of your website. What if you have a problem in one area—creating a compelling landing page—and you spend most of your time building up your blog? What if you have a problem generating traffic online, but spend all of your time optimizing the design of the site itself? What if you have plenty of traffic, and focus on simply acquiring more traffic through marketing techniques and paid advertising? In many cases, you’ll simply waste your time. Instead, find ways to focus on what’s actually ailing your website—don’t just build up (or tear down) a portion of your website for the fun of it. Believing there’s a specific problem without proof. The phrase “if it ain’t broke, don’t fix it” applies here. If you’re going to make concrete improvements on your website, then you need to have concrete statistics that show there’s a problem in the first place. In other words, don’t just work on a problem because you think it “might” need a solution. Focus on your analytics results and diagnose the problems with real evidence first. Doing so won’t only make any actions you take more effective, but will ensure that you don’t waste your time. Now that we’ve talked about how to figure out what’s ailing your website, let’s address some of the common fixes. If you find that your website is severely lacking in an area like generating traffic, then you don’t want to go all-out before your website is ready. You should focus on building a strong web presence with a service like leadPops, focused on user experience and lead conversion, before you start marketing your site. This isn’t to say that you should endlessly tinker with the formula of your website itself before ever marketing it. But you should work on an effective web presence before launching. You also don’t want to do the opposite: focus on traffic to the detriment of everything else. Remember: you can’t do business with clicks. With those tips in mind, what are some easy fixes for common mortgage website ailments? Too few conversions. You’ll want to focus on your landing pages, your calls-to-action, and creating a sense of urgency within your potential lead. A high bounce rate. Take a look at all of the keywords you’re ranking for. Do you notice any trends in what your potential leads want to know? What they’re searching for? Now, take a look at your website. Is it answering their questions or does it just look like it’s going to create more work for them? Not enough traffic. If you notice within your analytics that your website performs well when people do click on it, then maybe it is just a traffic problem. This is when you can invest in marketing, slowly ramping it up to make sure you’re getting the returns you want for your advertising dollar. Load time. Finally, have a regular look at your website’s load time, making sure that it isn’t simply an issue of a long-buffering webpage that’s sending people away. With the knowledge contained here, you should be able to make quick work of common website problems and understand whether or not to update specific sections on your site. 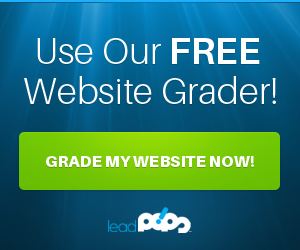 And don’t forget—if your mortgage website needs it, try out a free trial of leadPops for an upgrade in how you reach potential new mortgage leads.